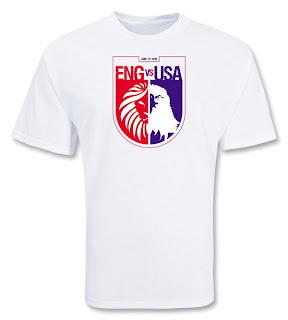 Umbro and 365 Inc. teamed up to hold a contest to determine which fan could design a commemorative t-shirt for the USA/England match. We're quite pleased with the result! 100% cotton with original USA/England artwork screened at front and Umbro logo at back.